Hello hello internet and blog. Oh but anyways I applied for something that could lead to me traveling overseas. But yeah I’ve been stressing about it for many days now. I really really really really want to go. That’s all I’m going to say because I might jinx it because it’s all I ever talk about in real life. So on to a different kind of traveling, Oooorleaaaans! So I just watched the Chef movie and there’s this part where they go to New Orleans. 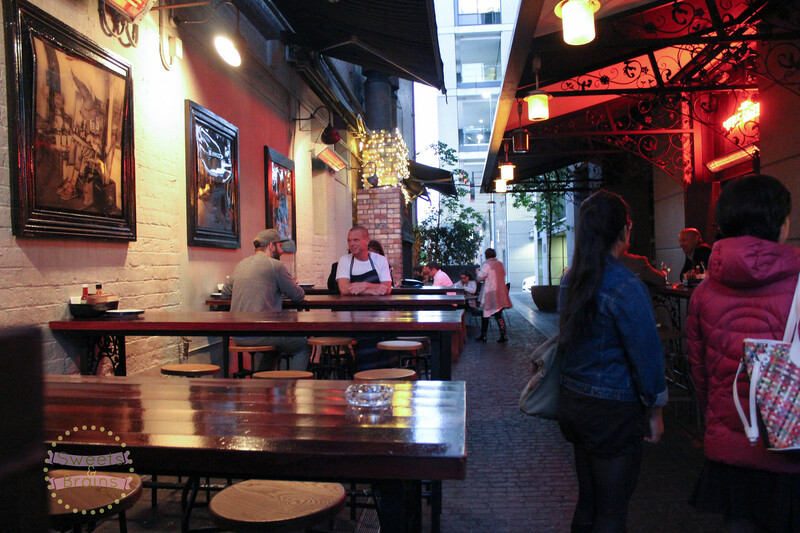 It has such a cool vibe with its distinct architecture, incredible food and jazzz music. 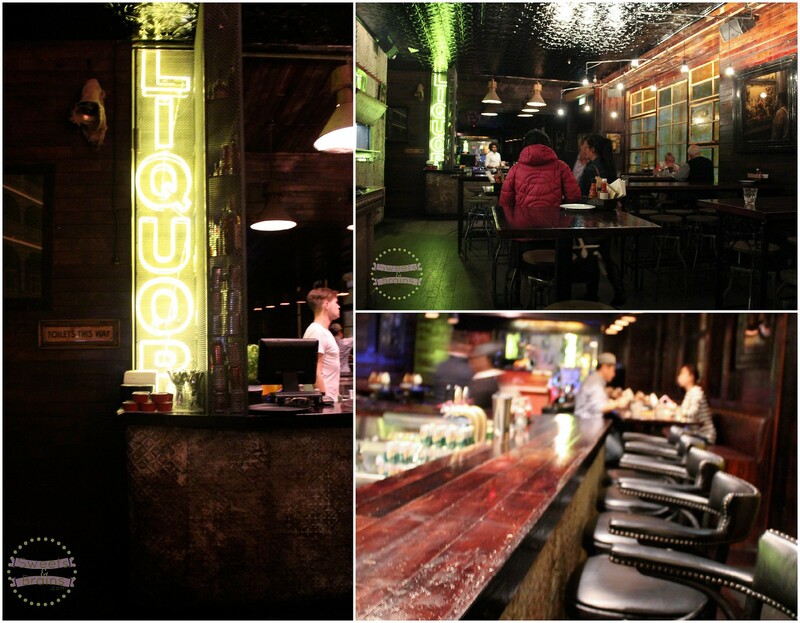 Why wouldn’t you want a restaurant inspired by such artsy energy? Yep Orleans is pretty much for all you cool cats. I went pretty much snap happy in this place. 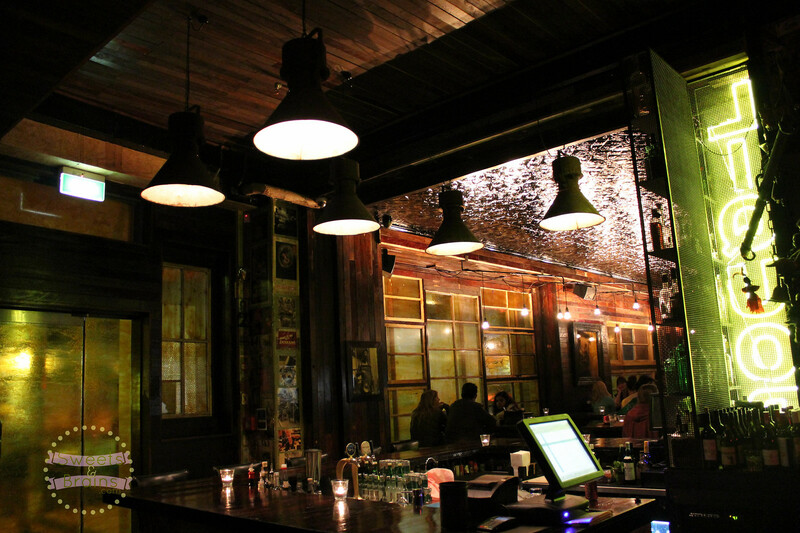 There’s so many interesting things to look at and dim lighting adds to the effect. 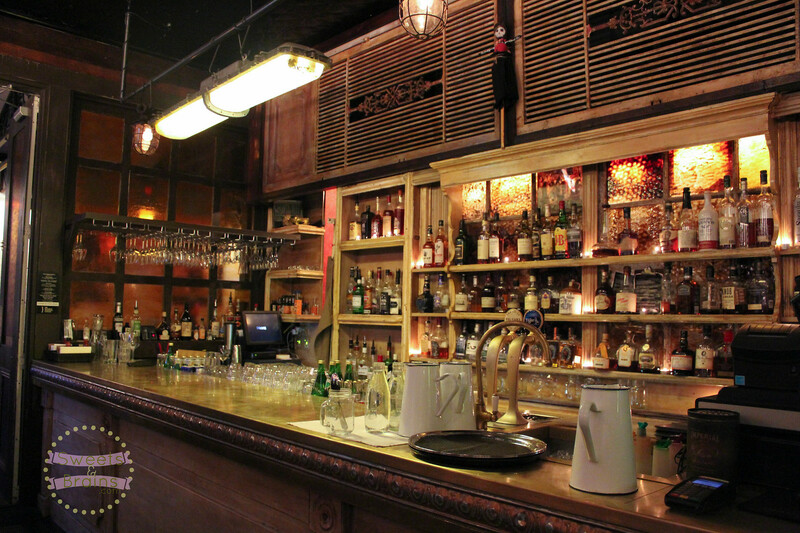 There was a bar with neon lights and packed with random voodoo looking wall of stuff on one side. There’s the stage. A wall of pinup posters near the toilets. This place is pretty rad. My only complaint is the high chairs. It’s hard and a bit annoying to get up and get off of for shorties like moi. 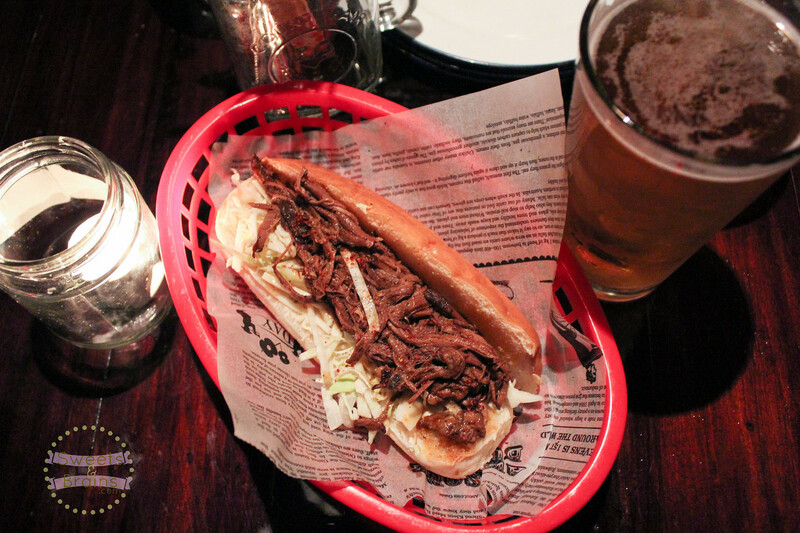 First off we got some beef brisket po boys (that night’s special). A po boy is a Louisiana style submarine sandwich. What a very Orleans-y start. The bread was just sort of normal bun like quality but the meat was delicious. 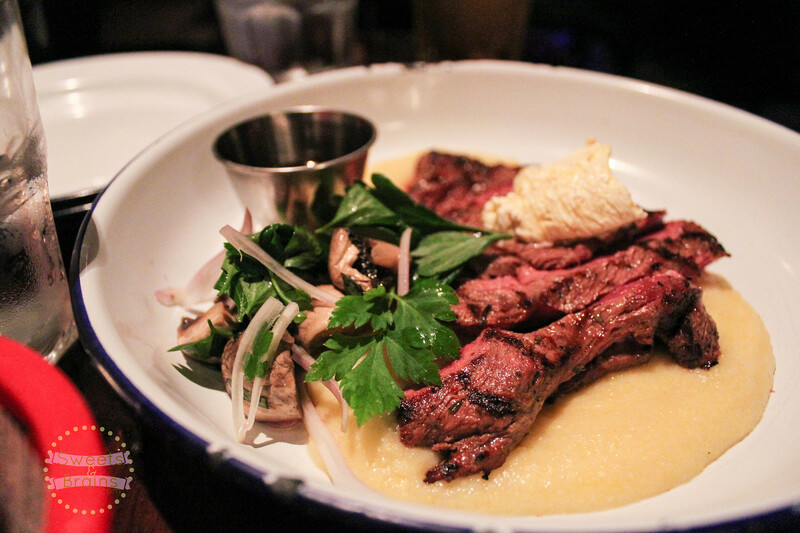 My friend got a Savannah flank steak with mushroom salad, marrow butter, white corn grits & au jus. She loved it. Meat was cooked nicely and she loved the au jus. I tasted some and it is really good. 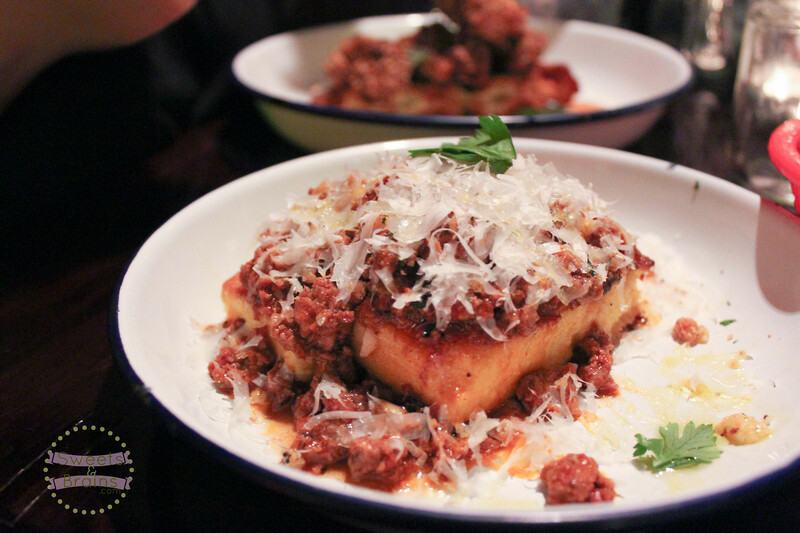 I got the baked cornmeal gnocchi with wild venison & andouille ragu, walnut gremolata & pecorino. Honestly it’s not as awesome as I thought it would be. It was nice but not something I’d come back for. There’s never enough chicken waffle for this table. 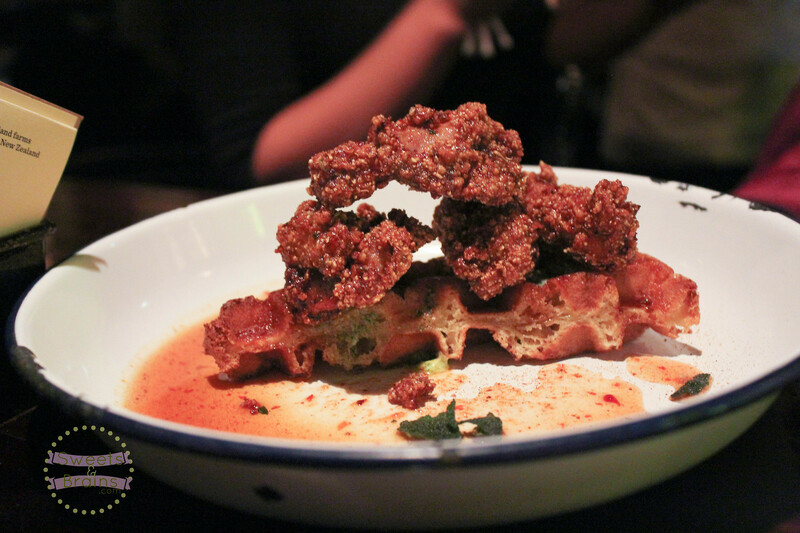 Crunchy and tender chicken with amazeballs waffle sitting around a sweet spicy glaze. 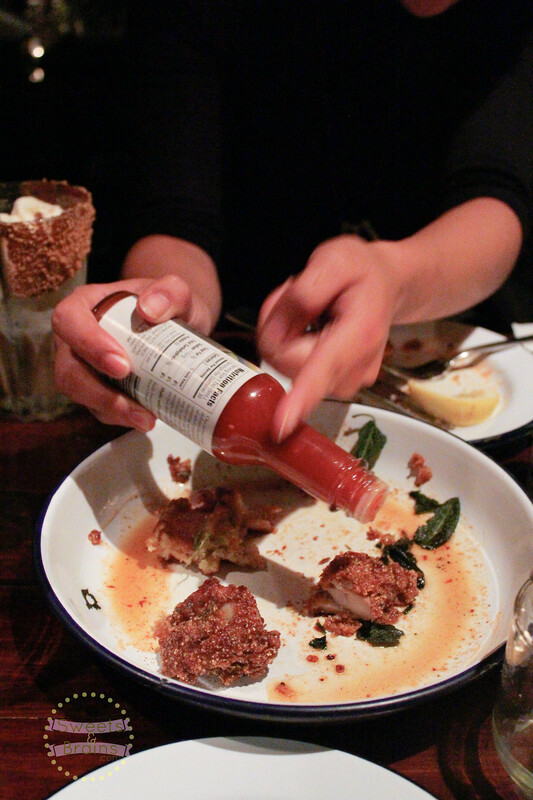 If you amp it up a bit with the hot sauce from the table it’s even more awesome. Seriously. 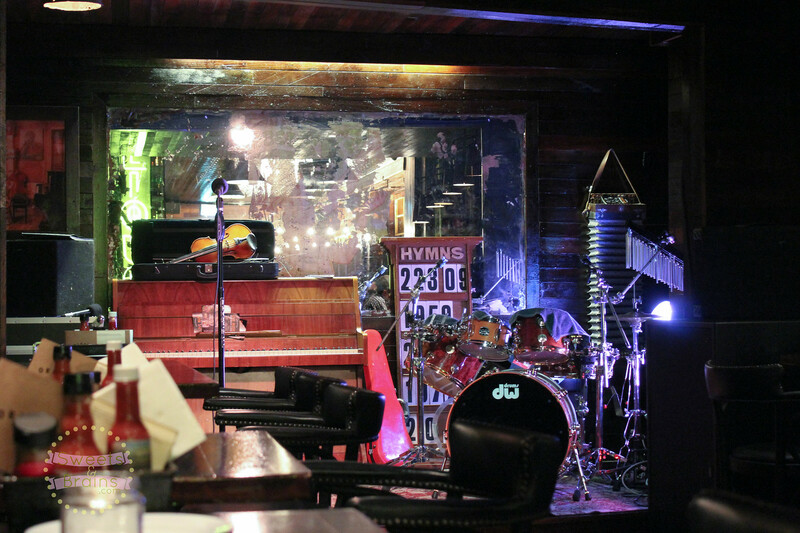 We were hoping we could stretch dinner until the live music begins. Thanks to a replay of chicken waffles we were able to do that. 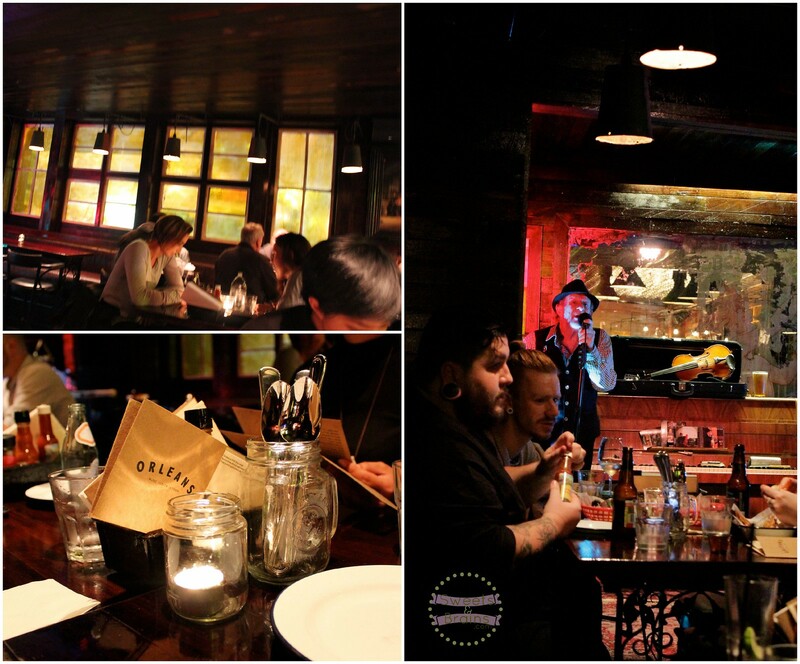 The music brought to us by Paul TT Duo (written on the menu). When they played Ain’t No Sunshine, all I thought was this can’t get any better. Oops wrong. There’s still room for dessert. 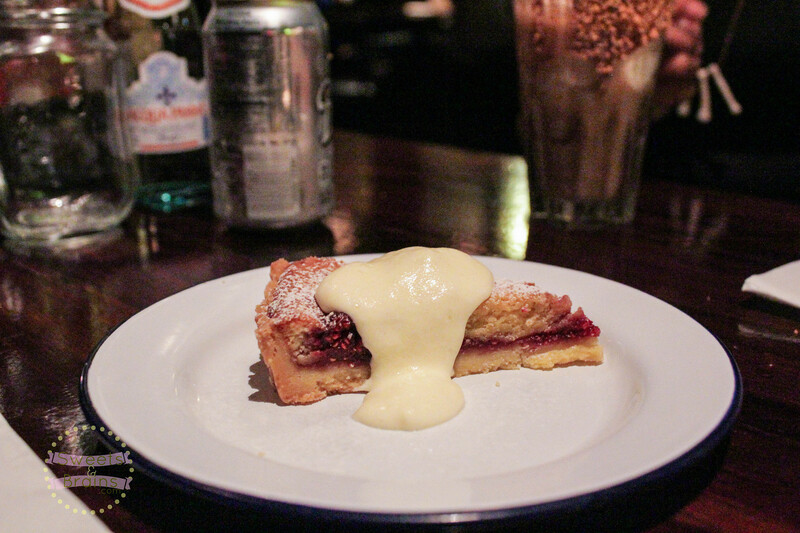 Esther and Darlene shared the sweet pie of the day with vanilla chantilly. They said it was a sort of berry pie which didn’t taste like anything special. 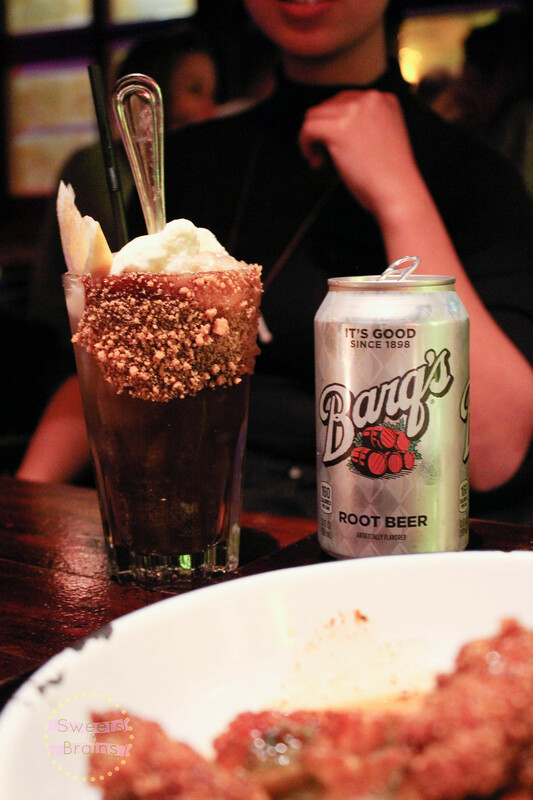 Good thing they also got a root beer float that they liked. Mmm..root beer float. I had to stop myself because I was saving room for proper dessert. 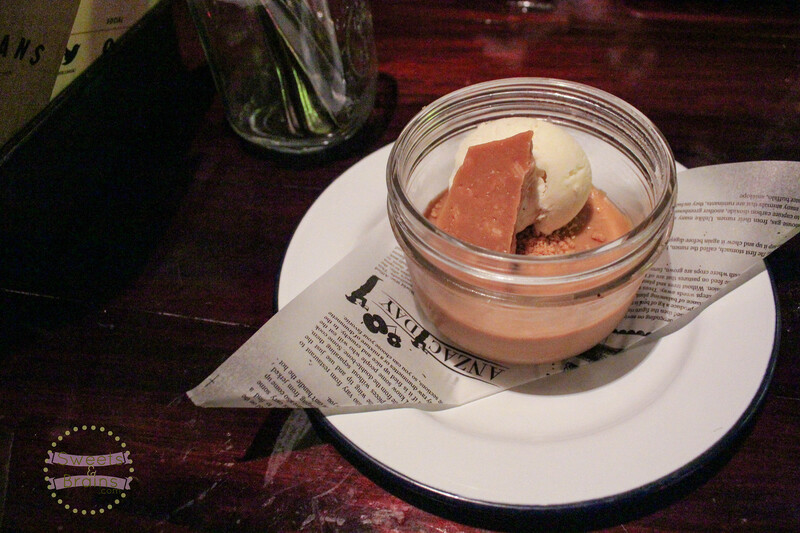 I shared a butterscotch pot de creme with vanilla ice cream and brittle with Pin. Heavenly ~ We’re both a sweet tooth and we give this a two thumbs up. I love that the brittle gives a nice texture in addition to the smooth creaminess of this dessert. Love love. Glad I finally tried this place out. It was an enjoyable evening! Chicken waffle I’m so coming back for you! PS. You get a $12 voucher when you sign up for their newsletter. That’s basically a free chicken waffle y’all. Great review. I really loved the ambience at Orleans. I felt it real captured the idea that foreigners have of New Orleans. 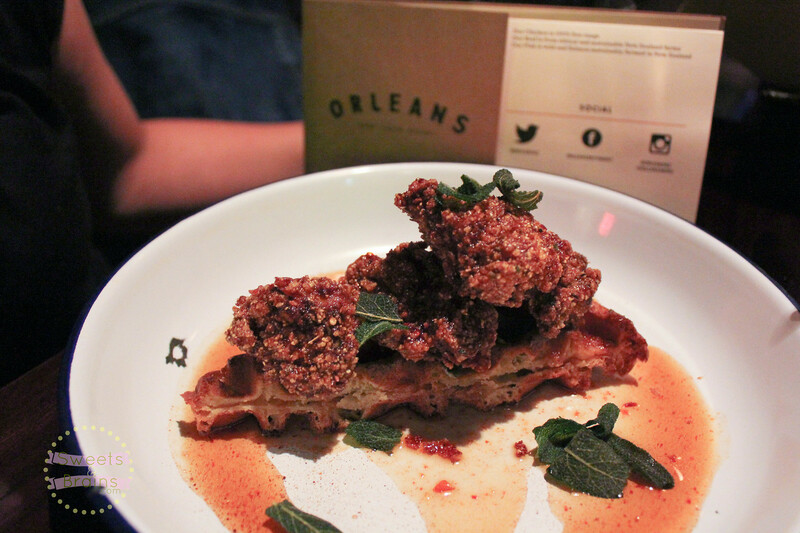 I’ve had chicken and waffles elsewhere before so I’ve overcome any weirdness with it, but when when my friends and I visited Orleans, they weren’t sold on it like you guys were. My friends would probably shriek if I added hot sauce to it! I also had the butterscotch pot and loved it. My favourite dish of the night I think was a seasonal dish only – fig and blue cheese on toast. I didn’t know I loved fig and blue cheese until I tried that dish. Hmmm..fig and blue cheese – that is interesting. Blue cheese usually makes me run in the opposite direction haha. Haha yes the chicken and waffles with hot sauce seem weird now that I really think about it. But well it is sweet and savoury in one dish..an excuse to add a kick haha. I used to hate blue cheese but I’m getting there. I don’t mind it as an ingredient but I’d never eat it on it’s own. Same goes for goat cheese. 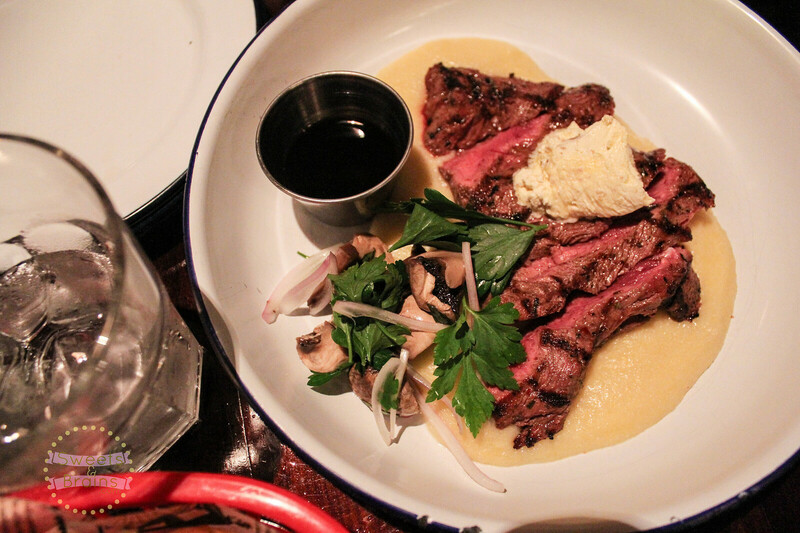 Flank steak and marrow butter, just the sound of it makes me drool!